Cycle7’s work in economic development includes feasibility analyses, economic impact assessments, downtown redevelopment, real estate strategy and development. Cycle7 or its founder have led the economic components of planning projects for several cities seeking to redevelop blighted areas, including Syracuse and Cincinnati, advised military bases in the process of conversion to civilian use, and major universities looking to expand. Cycle7 or its founder have been engaged at a community level in the industrial zone of Sunset Park Brooklyn for more than a dozen years. 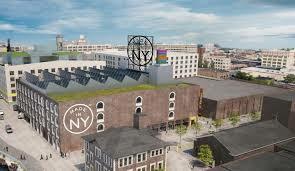 The work has included planning for a new park, surveys of industrial businesses, and a Sustainability Plan for the area completed on behalf of the New York City Economic Development Corp. Working with Pratt on a comprehensive study of the Brooklyn Navy Yard, Cycle7 led the economic impact component of the analysis. The work sought to identify the elements of the Navy Yard that might be replicated in other high-cost industrial areas where traditional manufacturing has declined. 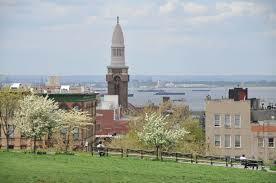 It found that the Brooklyn Navy Yard contributes nearly $2 B to the New York City economy each year. Working on behalf of the New York City Economic Development Corp, Cycle7 analyzed flows of cargo to the Port of New York and New Jersey and assessed demand for shipping directly to the New York side of the Hudson. Every unit destined for East-of-Hudson that could come to Brooklyn would save hundreds of truck miles and reduce bridge traffic and idling, while creating jobs in New York. The study informed the development of New York City's Marine Cargo Plan.